A culture, a people, and a place that's actually a sovereign nation, Cherokee is located right in the heart of Western North Carolina. 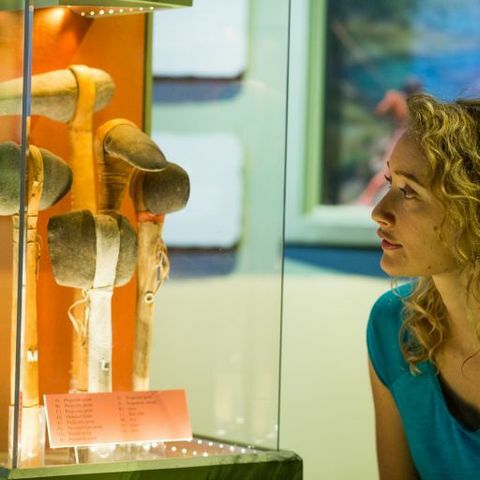 It's also base camp for hiking in the Great Smokies, arts and crafts shopping, native elk herd viewing, hours of fishing fun, and home to a history that spans millennia. It might happen on a mud-spattering romp through the nearby Great Smoky Mountains. Or while hearing the Creation legend in the Museum of the Cherokee Indian. You'll be having fun in Cherokee, relaxing, and suddenly, you're a little more in tune with the natural world. With just one visit to something as profound as the outdoor drama "Unto These Hills," you can't help but look at things a little differently. And you'll certainly have more fun. How will Cherokee affect you? Plan. Play. Visit. And discover. A virtual treasure trove of outdoorsy fun awaits in Cherokee. Activities gain new dimensions as you become aware of their origins, steeped in a vibrant cultural heritage. For instance, if you enjoy birding, you may never see the cardinal in the same way after learning about the legend of how it got its scarlet color-just as you may observe in a new way the copper lines in the ancient boulders along the banks of the Oconaluftee where you may be fishing, tubing, or kayaking. Did you know that the wolf showed the cardinal those copper lines to paint herself with after she pecked the mud from his eyes? These are stories you and your fellow travelers will learn as you explore Cherokee. Nostalgic shops offering blowguns and tomahawks, comfy motor lodges, family fun parks, and petting zoos can all be found in downtown Cherokee, NC. If you're looking for something extraordinary, consider playing Sequoyah National Golf Club's 18-hole course designed by Robert Trent Jones II, then staying at Harrah's Cherokee Casino Resort. Cherokees begin a story the way their people have for generations. It's only fitting to start the story of the Eastern Band of Cherokee Indians the same way. The Cherokees were hunters and gatherers, foraging the Great Smoky Mountains and the lowlands of the Southern Appalachians for food while hunting, fishing, and trapping game. By 2000 BC, Cherokee culture had spread over hundreds of miles of mountains, governed by their clan system and town leaders. 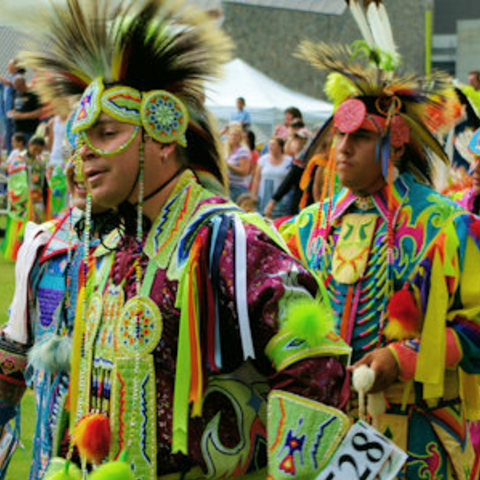 They passed on their history and religious beliefs through storytelling, ceremonies, and dances. Their agriculture, medicine, and spirituality sustained them. The Cherokee tribe was one of the largest tribes in the southeastern United States and controlled a vast land base. Strangers In 1540, Spanish explorer and conquistador Hernando de Soto came through here looking for gold, demanding food, fighting, enslaving-despite what you may have heard, he wasn't a great guy. Worse were the diseases that came with him. Lacking the immunity to combat them, indigenous peoples were nearly eradicated, victim to plagues such as smallpox, measles, and influenza. Nevertheless, the Cherokee people continued to work through diplomacy with the newcomers for the next two hundred years. By the early 18th century, 75 percent of Cherokee land had been lost through treaties with England and America. Encroachment by settlers forced the Cherokees to fight for their territory through statesmanship with both the new American government and with colonial powers. 19th century brings tears. Gold was discovered in Georgia in 1828, leading to America's first gold rush and shifting the entire perception of the region. Peace made alliances irrelevant and mounting pressure from land speculators made the Cherokee an inconvenience. In 1830 Andrew Jackson signed the Indian Removal Act offering territory out west in exchange for the Cherokee people's homeland. Five years later came the Treaty of New Echota, which ceded to the federal government most of the Cherokee lands east of the Mississippi, resulting in what is now referred to as the "Trail of Tears." 16,000 Cherokees were gathered, dispossessed and made to walk six months, 1,200 miles west. Roughly 4,000 Cherokees died, succumbing to hunger, disease, exposure, or exhaustion. The North Carolina Cherokees worked against expatriation. 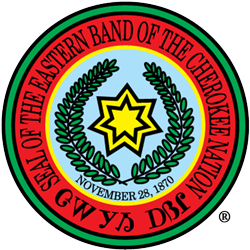 Along with other Cherokees who escaped removal or who came back, the group established the Eastern Band of Cherokee Indians. 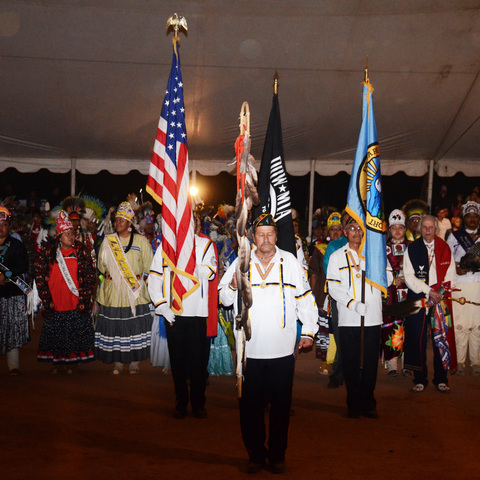 The Renaissance Today's Eastern Band of Cherokee Indians stands strong and healthy. The success of Harrah's Cherokee Casino Resort has provided important income for enrolled members and draws millions of visitors to Cherokee annually. Cherokee's economic vitality can be seen across the Qualla Boundary, and ground will soon be broken on a new hospital. As the tribe looks out into the 21st century, its bright future emanates a light for other tribes to follow. No trip to Cherokee is complete without spending an evening here-or three. Once you've watched a show, attended an event, done some shopping, and maybe a bit of fishing or hiking, it's time to lay your head down in a comfortable spot. Whether it's a luxury hotel room at Harrah's, or a rustic cabin, cottage, or RV park, there's an option that fits your needs. Want to speak with someone about where to stay? Try 800.438.1601. Blue (A NI SA HO NI) - Historically, this clan made medicine from a blue-colored plant to keep the children well. They are also known as the Panther or Wild Cat Clan. Bird (A NI TSI S KWA) - historically known as messengers. The belief that birds are messengers between earth and heaven, or the people and Creator, gave the members of this clan the responsibility of caring for the birds. Paint (A NI WO DI) - historically known as prominent healers. Medicine was often 'painted' on a patient after harvesting, mixing and performing other aspects of the ceremony. Clan members made red paint and prepared teas for vapor therapy specific to each ailment. Deer (A NI KA WI) - historically known as fast runners and hunters. Even though they hunted game for subsistence, they respected and cared for the animals while they were living among them. They were also known as messengers on an earthly level, delivering messages from village to village, or person to person. Wild Potato (A NI GA TO GE WI) - historically, members of this clan were known to be 'keepers of the land' and gatherers of the wild potato in swamps along streams. They are also known as the Bear, Raccoon, or Blind Savannah Clan. Wolf (A NI WA YAH) - the largest and most prominent clan throughout time. During the time of the Peace Chief and War Chief government setting, the War Chief came from this clan. Wolves are known as protectors. In the 1800s the Cherokee tribe went through three major changes, including the development and adoption of a written constitution and the invention of a written Cherokee language. The devastating third change happened in 1838 when the majority of the Cherokee people were removed from Western North Carolina, Georgia, Tennessee, and Alabama and forcibly relocated to Oklahoma by the federal government of the United States. This removal is what began the Trail of Tears, one of the most painful parts of Cherokee history and culture. In 1879 in Carlisle, Pennsylvania, Captain R.H. Pratt opened the first Native American boarding school to forcibly acculturate Indians to mainstream white society. "Kill the Indian and save the man," Pratt said. Toward this goal, Indian children throughout North America were taken from their homes and families, given "white" names, wardrobes, and haircuts, and forbidden to speak any language but English. Yet today, their language still flourishes. This achievement continues to be an inspiration to all of us, reminding us of the Cherokee people's great will to survive and carry on their richly distinctive culture against great odds.